Please complete as much information as you can. Are you homeless or at-risk of being homeless? -- Please Select -- Yes, I am homeless. No, I am not homeless. Yes, I am at-risk of being homeless soon. -- Please Select -- Yes, I am pregnant. No, I am not pregnant. Do you currently have a child? -- Please Select -- Yes, I currently have a child. No, I do NOT currently have a child. If you have a child, what is the age? -- Please Select -- Under 12 months old. Above 12 months old. How many children have you given birth in total? -- Please Select -- I am pregnant and do not yet have a child. I have one (1) child. I have two (2) children. I have three (3) children. I have four (4) children. No one is perfect. We just need to know your history. -- Please Select -- I have no record. I have at least one misdemeanor. I have at least one felony. If there is additional information you would like to share, please enter it here. 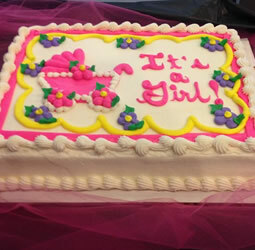 We know that the arrival of a baby is a time for celebration. We help you celebrate both big and small achievements.